Here is another list about floor lamps that’s coming your way, and it’s coming pretty fast. That’s a bit funny, right? I think that this list would be interesting. And I might just tell you that this was pretty hard for me to complete. This list would basically revolve in bedroom spaces that have interesting tripod floor lamps in them. These are most likely made of wood or steel that holds a lamp shade that maybe any shape, material or color – of course, anything that will allow light to pass through it. Below will be a list that I think would fascinate you. 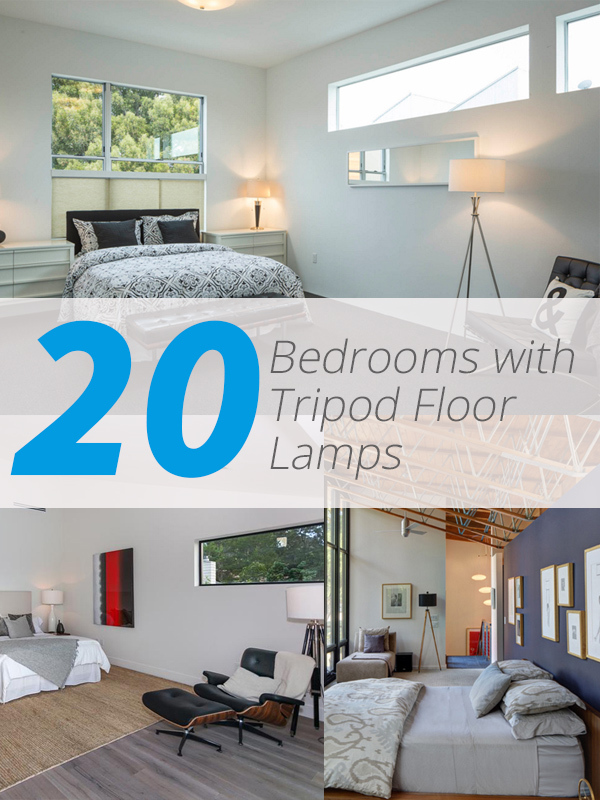 Not only are the lamps lovely and cool, but the bedrooms they are in too, and if you can’t wait for the 20 Awesome Bedrooms with Tripod Floor Lamps, you should go ahead and take a look at the list that we have below. 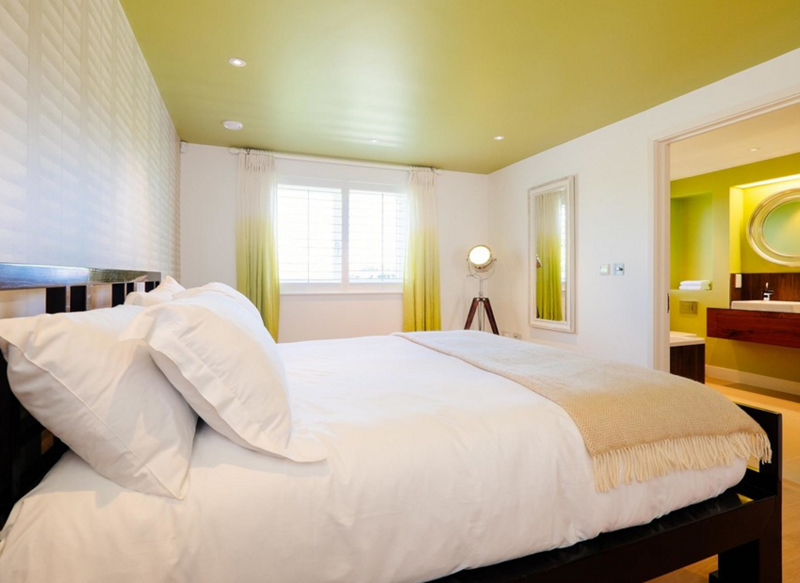 The bedroom spaces are definitely cool – they are either very contemporary or eclectic. Take a look, so that you can actually see what I’m talking about. 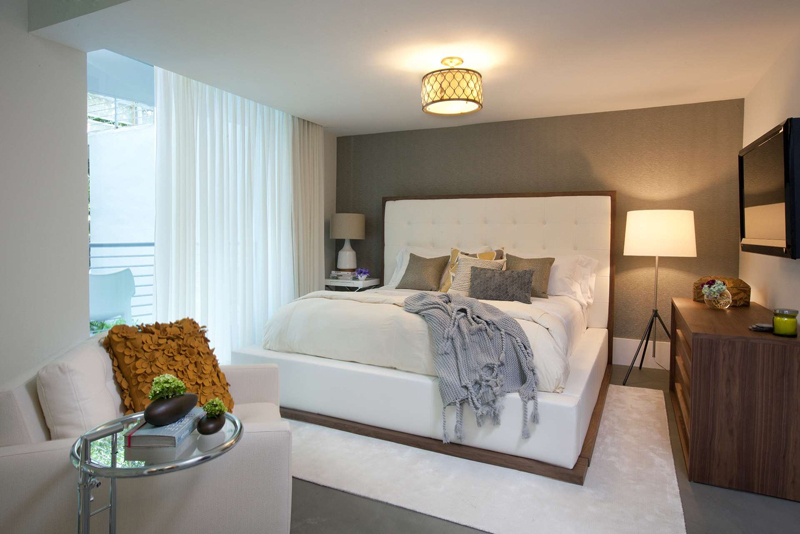 How do you feel about this bedroom? From the looks of it, I would assume that this is in an attic because of the limited height of the room, but won’t you agree with me that this space looks fun and comfortable? A bit like camping but so much more! 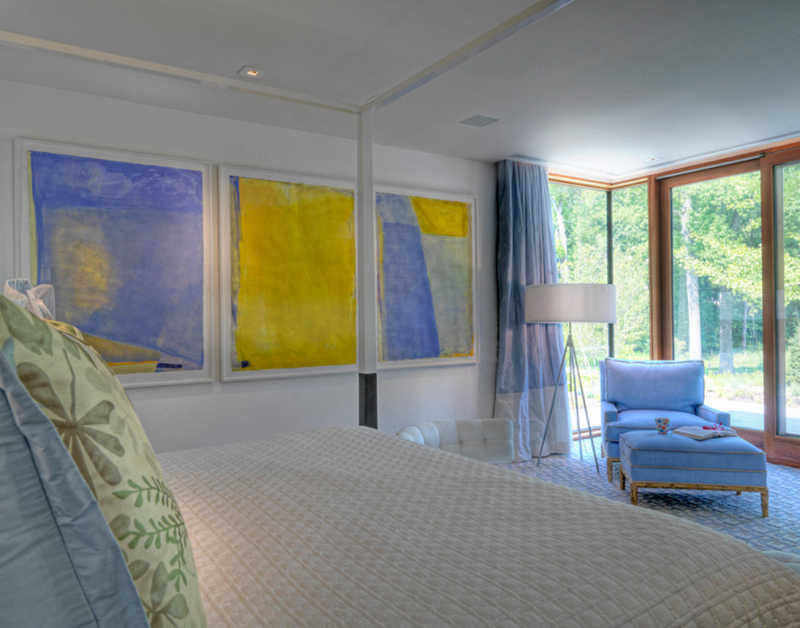 William Reue sure made this bedroom look real simple but totally astonishing. 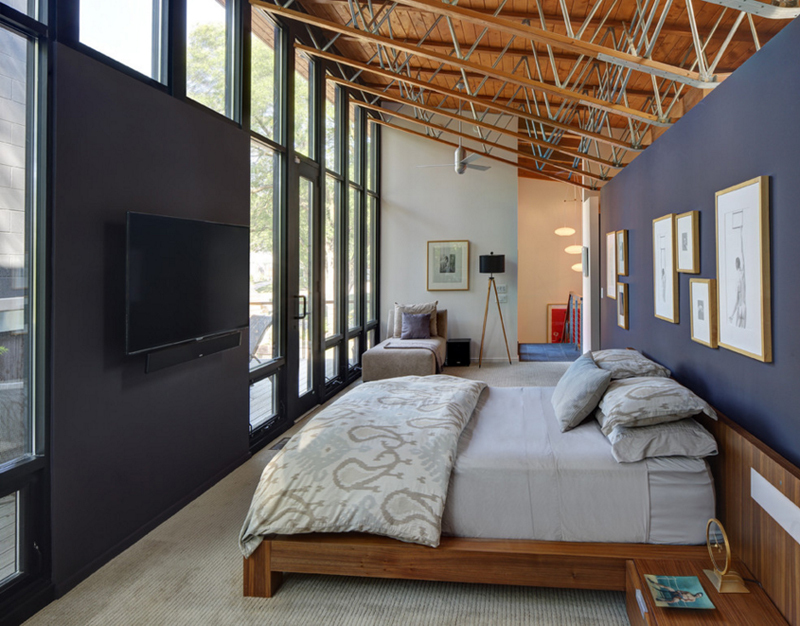 From the large windows to the large, obviously large bed and the choice of tripod lamp – pretty awesome, right? I can’t believe how awesome this bedroom is even when it is actually really simple. 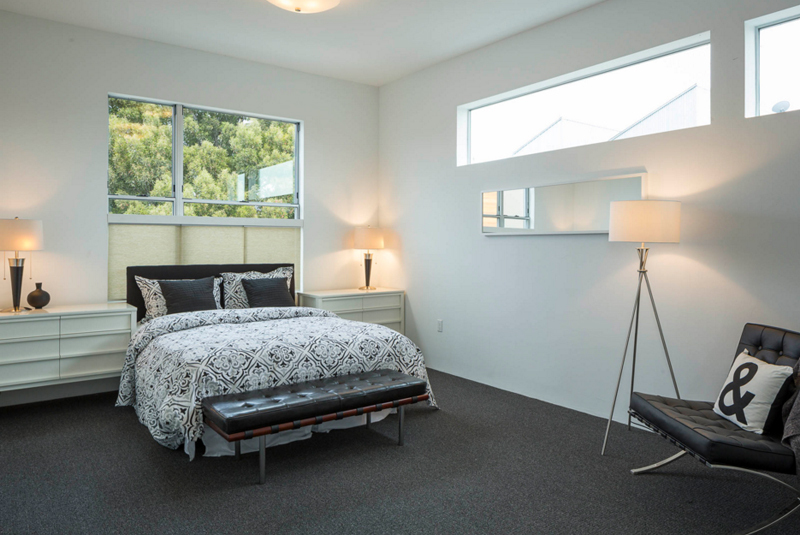 This bedroom has the basics, a bed, night stands, table lamps and well, a window. The additional tripod floor lamp is but a beautiful accent added to this room to make it more appealing to onlookers like us. I feel like this bedroom is inside a box or something – and this is literal. This bedroom is really pretty though; with fun windows, a comfortable bed, neat night stands and nice leather chairs plus the beautiful lamps too, of course. 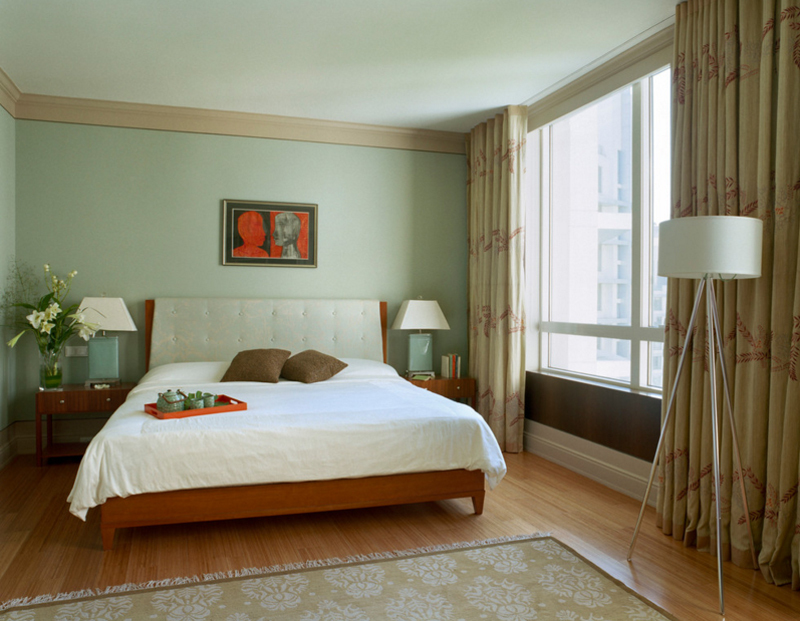 A bedroom with neutral tones is seen in this photo; if you notice, the tripod floor lamp in here is a bit vintage. The head of the lamp looks like something you see in stage lighting only this time it is connected to a tripod and used as a floor lamp. 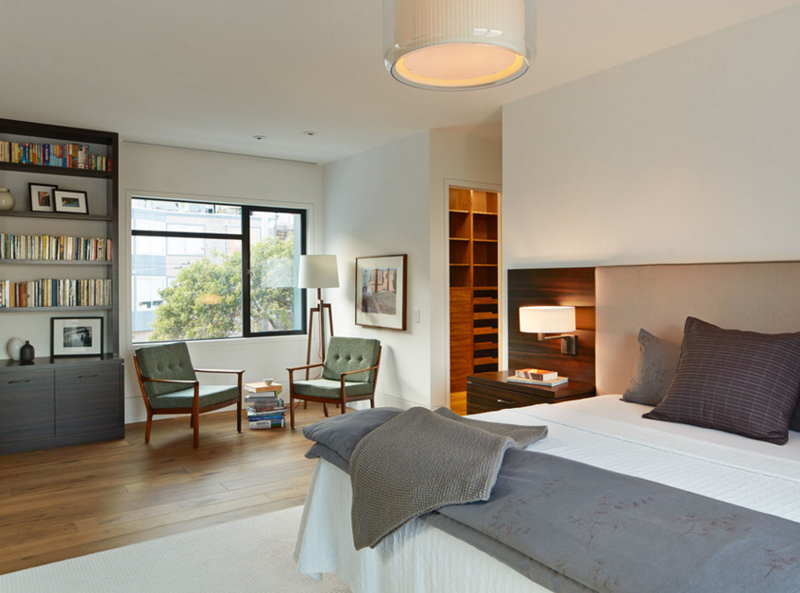 Too bad that the photo has been cropped, but this bedroom has two separate tripod floor lamps along with another pair of table lamps. I find this bedroom a bit sad because of how large it is while having a minimal number of things in it. Not to mention how high the ceiling is. 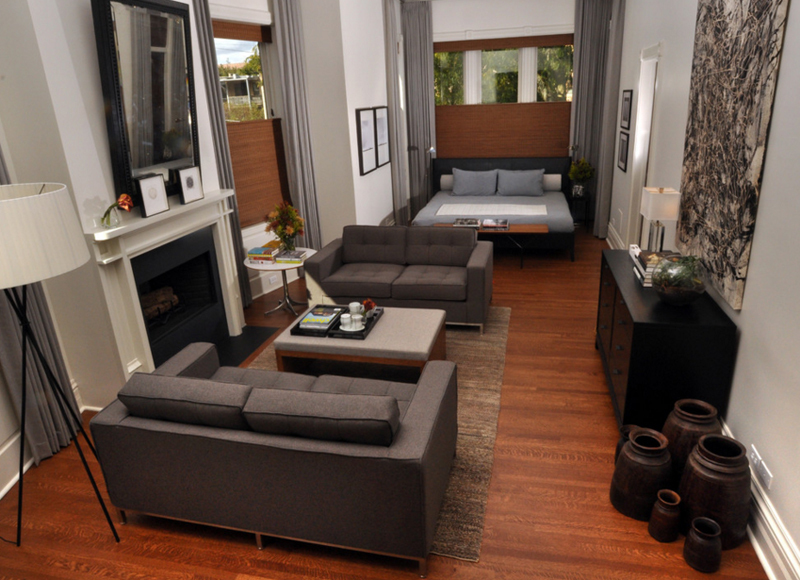 Here is an example of a bedroom that has a bit of a space; this is pretty neat because of the fact that the designer really maximized the space by adding a living room set with a fireplace at the foot of the bed; plus a buffet and a couple of decorations. 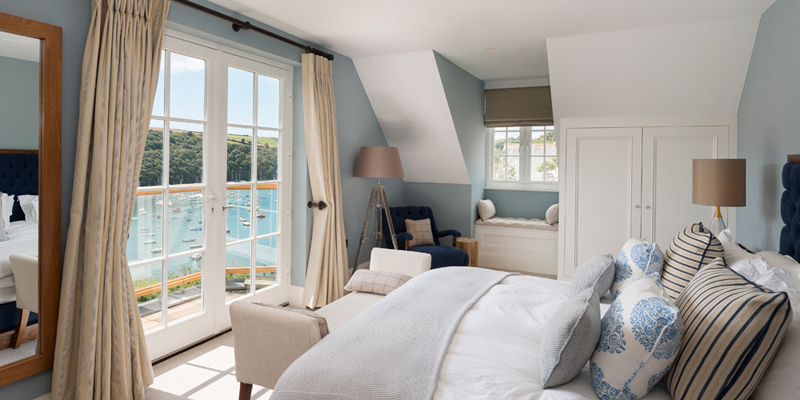 A home in Constantine Bay, this bedroom sure is a charmer. We see another example of a vintage-inspired floor lamp with tripod on the farther portion of this photo. 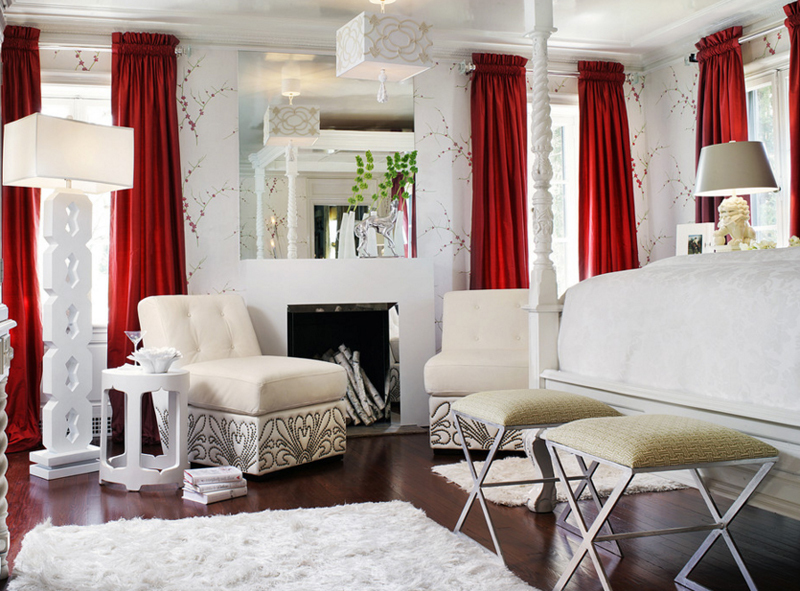 The bed looks really comfortable and the color paired with white sure is interestingly pretty. Even at this obvious distance, the tripod floor lamp is evident. Actually, if you get the chance to see the other photos of this house, you will see that on the opposite part of this picture, another tripod floor lamp is seen; pretty cool, right? I totally forgot the name of the floor lamp seen in this picture but would you agree that the lamp and the chairs beside it is technically a pair? They both have a hint of vintage in them and they surely complement each other. 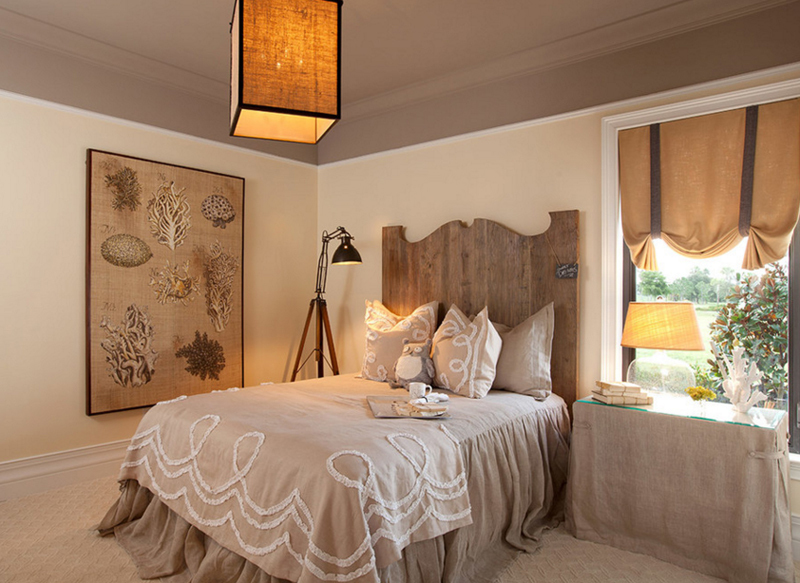 Look at this charming bedroom in a Regency Manor model home. The furniture, the decorations and the materials used in this space is beach inspired and well, it somehow looks vintage because of the browns used in it. What do you think? I like how this bedroom looks a bit symmetrical in terms of the space – the decoration and furniture is another thing though. If you might notice, the bed somehow looks real large and quite long – well, that might just be because of how the picture was taken. In this bedroom, we see a different type of tripod floor lamp. It showcases a bit of a body because the legs. I like how the designer added three different lighting fixtures in here – I can’t say that they complement each other, but it sure does not contrast too; win-win. This bedroom has a tripod floor lamp at the far end of the space; in as much as it is far, we can definitely see that it is a tripod floor lamp; of course I wish that I could get a photo of this bedroom with a closer view of the lamp, but there was none for me to substitute with this one. With all the tripod floor lamps in this list, the lamps in this photo is like my favorite – the color of the shade is really pretty and it surely stands out because this bedroom is basically mostly white or light colors. This bedroom is quite an interesting one – especially for this list. Of course I love this one because blue is the evident color of the room – as seen on the pictures on the wall, the curtains and the couch. Adding the floor lamp created a more subtle but useful decor for the bedroom. 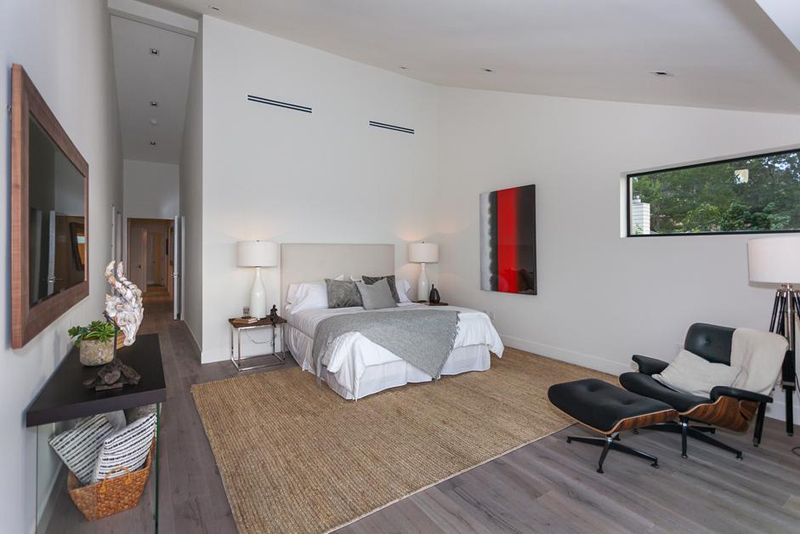 I like how the walls of this bedroom is all plain, and then all of a sudden, the head board and the shade of the floor lamp is printed. 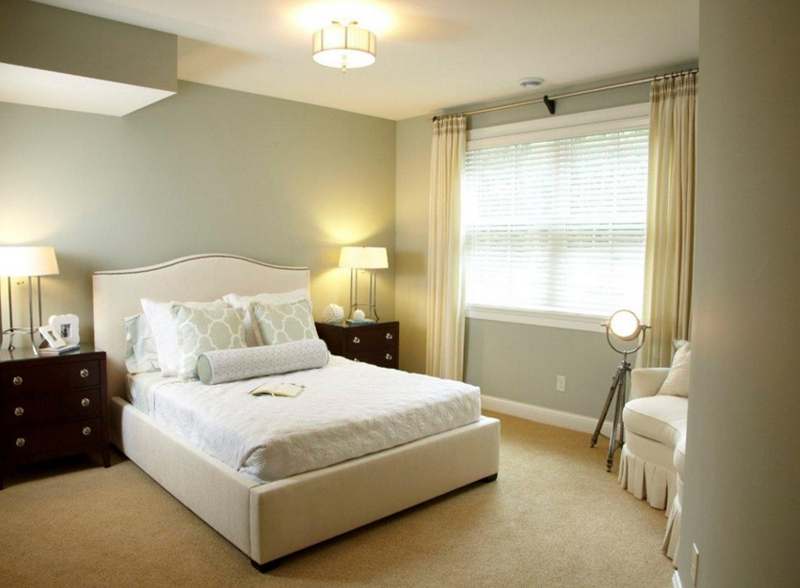 The grey and yellow combination of this bedroom is pretty awesome! This bedroom in this four seasons penthouse is quite a charming one. It looks really beautiful and homey. I usually think that when we talk about penthouses, I imagine contemporary spaces, in this case, we see how traditional it is even still maintaining the classic feel to it. I am really sad that I wasn’t able to find a photo of this beautiful bedroom with the tripod floor lamp – complete; but I think this is one wonderful space to be in because of how classic it looks and how comfortable it actually looks like. This is one pretty awesome bedroom! Here is another photo I’m not really proud of including in this list, but when you actually look closer, this is indeed a nice bedroom. Pretty contemporary in design, cool furniture and nice tripod lamp on the side. Now this might be another list of lamps, but, believe me, it was hard for me to complete this one. I had my fun though of course. I hope that you liked this list of 20 Awesome Bedrooms with Tripod Floor Lamps like you did with the 22 Fascinating Tripod Floor Lamps in the Living Room. I totally love this list. More to come like this one!